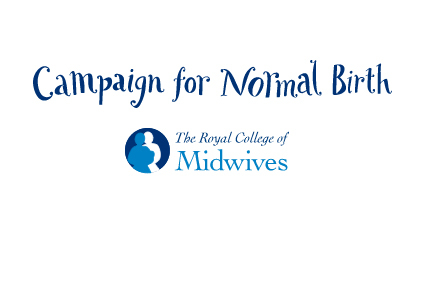 For years, the Royal College of Midwives in the UK has been on a relentless campaign to promote “normal birth.” We are now seeing the results, and they are nothing short of horrific. * Hoa Titcombe, 34, gave birth to Joshua at the end of a normal delivery. But nine days later the baby bled to death after suffering a lung infection which could easily have been treated with antibiotics. * Thai-born Nittaya Hendrickson and her unborn son Chester both died at the hospital on July 31, 2008 after the midwife in charge of her labour dismissed her fits as ‘fainting’. Mrs Hendrickson later died of a heart attack, while her son died after suffering brain damage. * In another case Niran Aukhaj, 29, collapsed and died in April that year. Her unborn baby also died. The mother of one, from Ulverston, had experienced a number of problems during her pregnancy, including high blood pressure. Yet midwives failed to take her blood pressure and a urine sample during a routine check-up just a week before she died. * Liza Brady, whose son Alex was delivered in September 2008 stillborn at Furness General with the umbilical cord wrapped tightly around his neck. At 11lb 13oz, Alex was exceptionally large, yet midwives refused her request for a Caesarean — despite this having been suggested by a consultant obstetrician whom she saw during her pregnancy. During a long and painful labour, the midwives persistently refused her plea to be seen by a doctor and delayed the delivery even though the machine monitoring the baby’s heart showed he was in distress. ‘A doctor offered to help as he came on duty, but he was shooed away by the midwives who said he wasn’t needed,’ recalls Liza. Lest anyone is tempted to conclude that this is a problem restricted to a single hospital, today’s newspaper reports demolish such wishful thinking (‘If you don’t hurry up, I’ll cut you’: What one mother was told by midwife at NHS Trust where five died during labour). The [Care Quality Comission] investigated hospitals run by Barking, Havering and Redbridge University Hospitals NHS Trust in Essex. Four women and seven newborns are believed to have died in the last 12 months on labour wards at the trust’s hospitals. Sareena Ali, 27, from Ilford, Essex, died in January this year after staff failed to failed to notice she had suffered a ruptured womb that triggered a cardiac arrest and then later tried to revive her using a disconnected oxygen mask. Her daughter Zainab was born lifeless. Then in April, Violet Stephens, 35, from Brentwood, Essex, died after midwives failed to spot she was suffering from pre-eclampsia, which leads to abnormally high blood pressure. She waited four days to have an emergency caesarean and then died hours later. … [Dr.] Misra wrote of ‘the risk of trying to make every labour and delivery normal and natural, and not thinking laterally (about) possible complications. I am all for having a natural childbirth — but not at any cost’. Although talking about a specific case, Mr Misra has put his finger on an issue at the root of the problems in obstetrics today: the dangerous myth, promulgated by some midwives, that natural childbirth is not only the kindest form of delivery but also invariably the safest. For years, the prevailing view among some leading figures in midwifery was that obstetricians were little better than trouble-makers. They were seen as over medicalising the natural process of childbirth, slowing down labour with their foetal heart rate monitors, and so increasing the risk of complications. … [N]ormal birth has nothing to do with normal and nothing to do with birth. The definition of normal birth is simple and straightforward: If a midwife can do it, she calls it normal. If she lacks the skill to provide the needed care, she insists that the birth is not normal even if it results in a healthy mother and a healthy baby. “Normal birth” and “midwives” are interchangeable. In other words, “normal birth” is nothing more than a marketing term. The promotion of normal birth is more than just a disingenuous ploy to promote midwifery, it is wrong on its face. ← Is high risk homebirth a form of medical neglect? Barking, Havering, & Redbridge NHS Trust is in London, not Essex. That explains why it is illiterate. Come back when you’ve learned English a bit better. Siri, what’s that about? Why don’t you just respond to her in french since your language skills are so much better than hers? Could you check your spelling on the “cemace report”? I can’t find that one. I think she means CEMACH (Confidential Enquiry into Maternal and Child Health) report. At least, that’s what Google gave me. Which is also abbreviated “CMACE” in more recent years – hence murphette’s confusion with the acryonym. Murphette, je m’excuse pour ma reponse impolie. Bienvenue a ce blog, et bonne chance!